Jing An Pagoda was located beside Suzhou Creek in 247 AD, during the Three Kingdoms period. 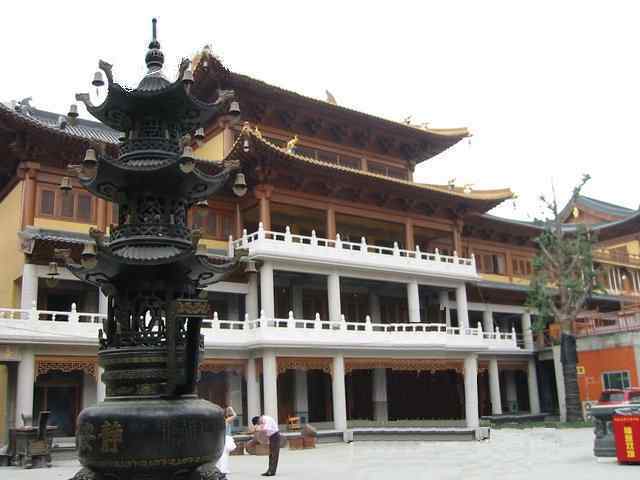 The current pagoda was rebuilt in the Qing Dynasty and was renovated in 1953,1984 and 2000. Jing An Pagoda is a famous and active Buddhist temple in Shanghai. The halls of Jing An Pagoda are loosely translated as follows: the Hall of Heavenly Kings, the Hall of the Three Saints, the Hall of Virtuous Works and the Abbot's Chambers. The Abbot's Chambers include rooms for the chanting of scriptures.